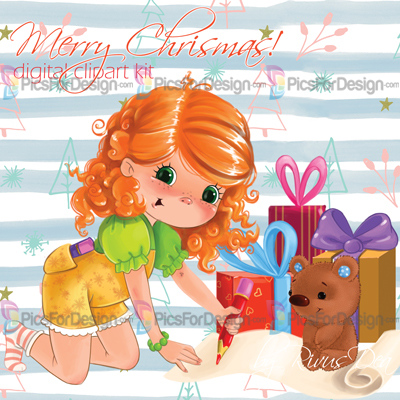 Cute little girl with the Christmas gifts - Illustration store PicsForDesign.com. PSP tubes, PSD illustrations, Vector illustrations. Seamless Christmas pattern as a gift!